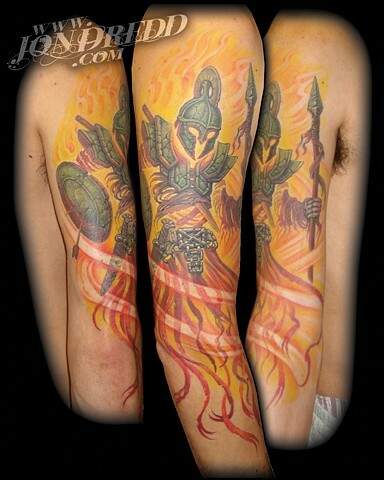 The idea for this tattoo began with the concept of a gladiator, and over some discussions grew in to this ghost gladiator idea. I like the colors and "glow" from within, as well as the tattered wrappings and abused armor. Later, we added a coliseum shaded into the background, but I have yet to get a healed pic of this tattoo complete.